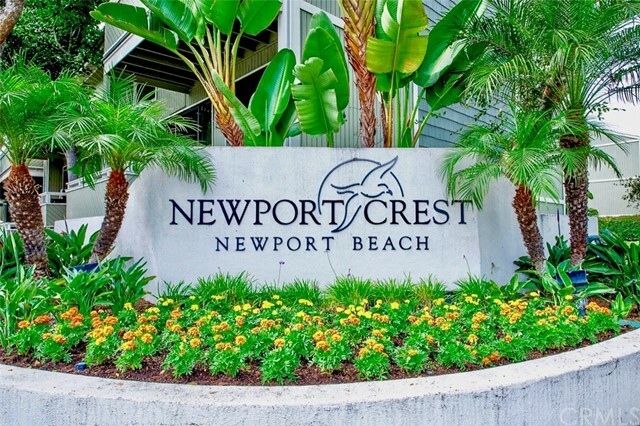 Welcome to Newport Crest, a tropical paradise in Newport Beach. 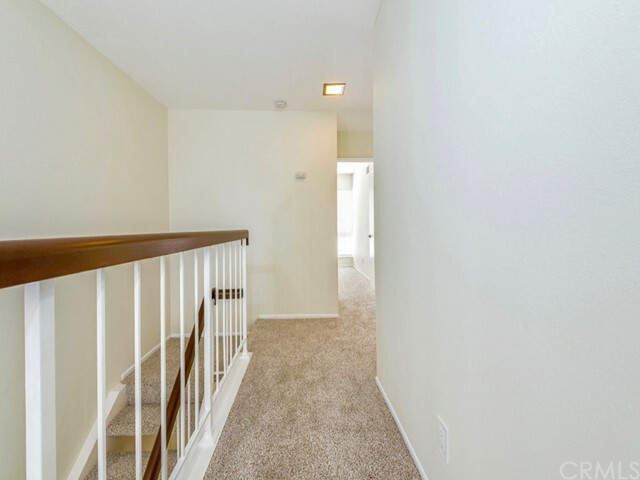 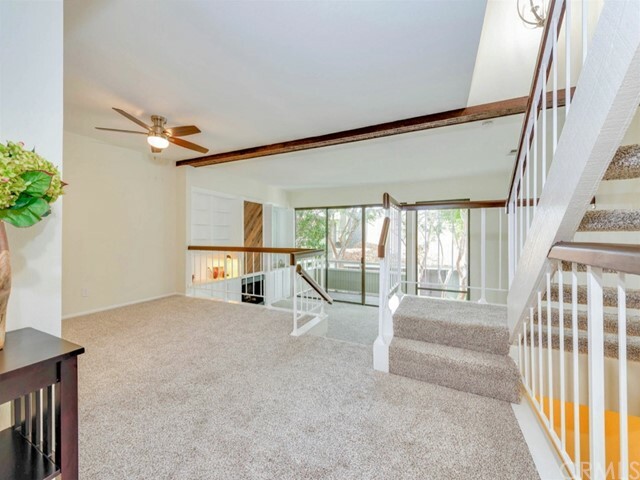 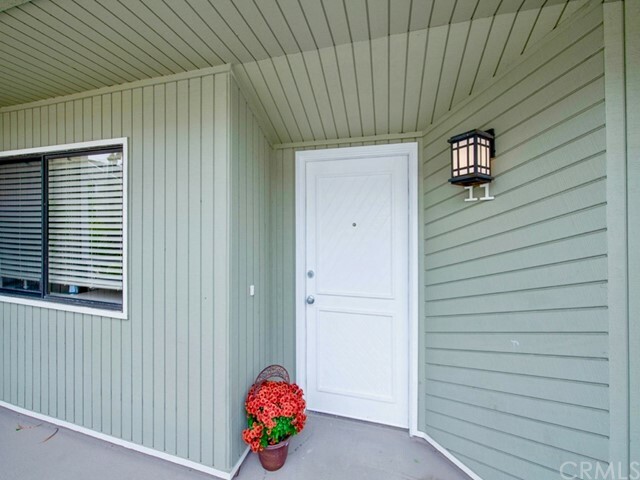 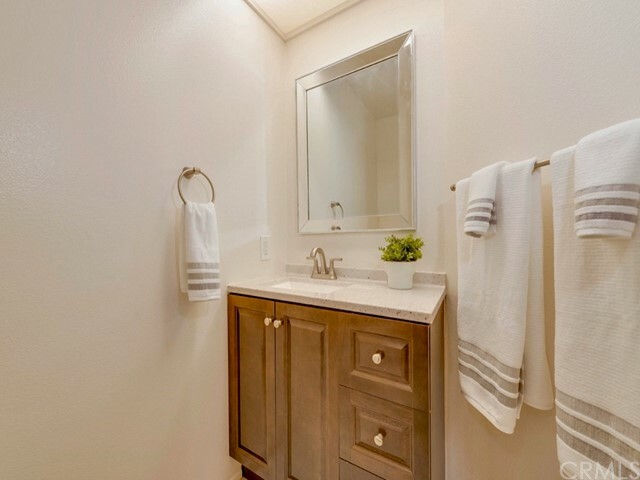 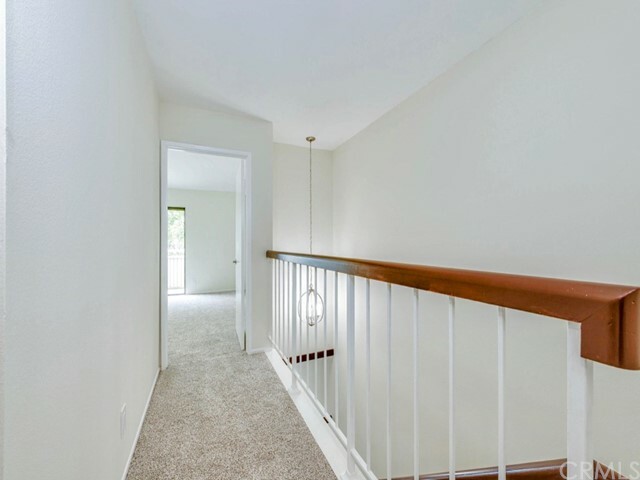 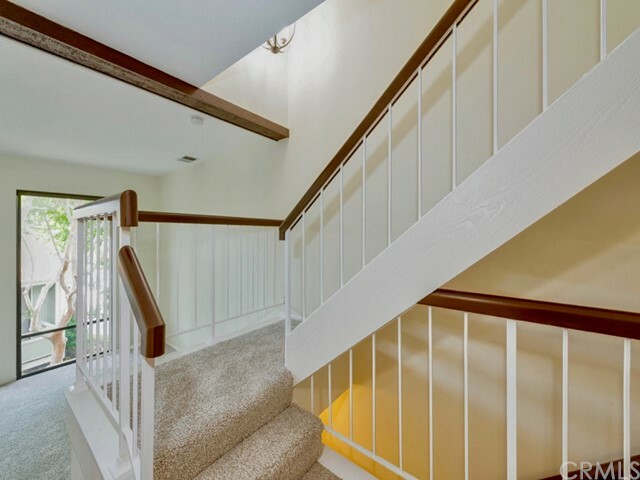 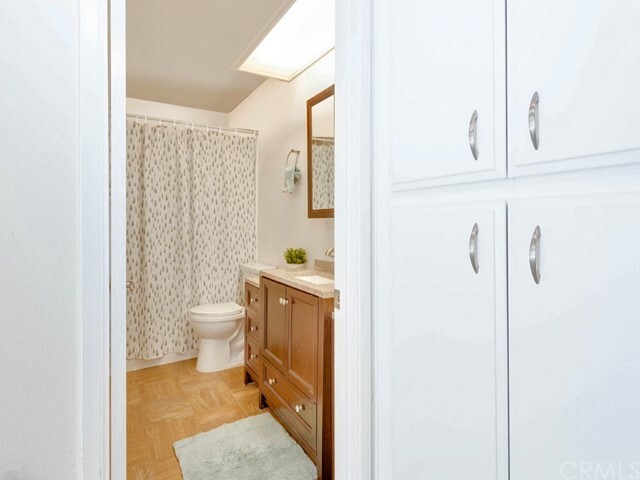 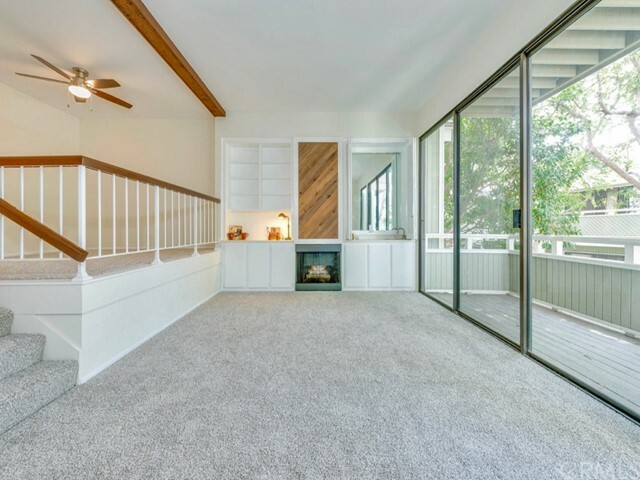 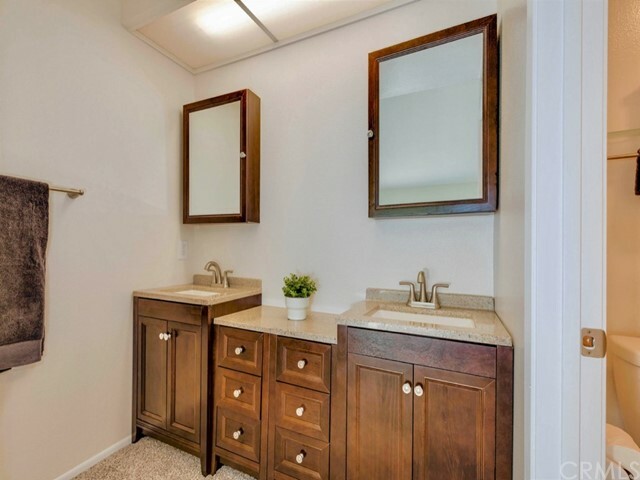 Don’t miss out on this fully remodeled tri-level townhome with 1,647 square feet surrounding 3 bedrooms and 2½ baths. 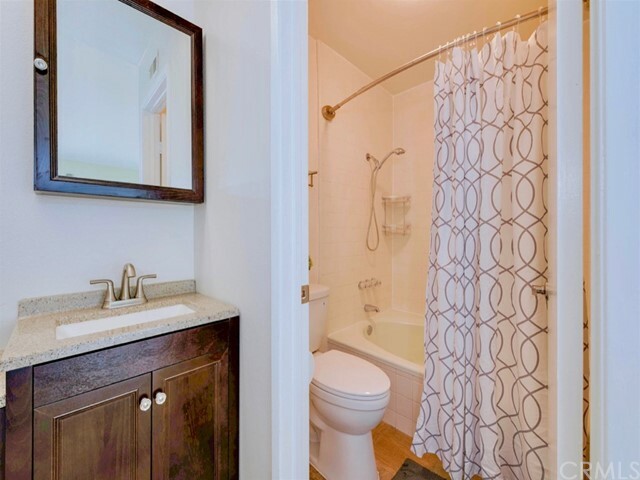 It’s just been updated head to toe with all new flooring, two-tone paint, kitchen and bathrooms. 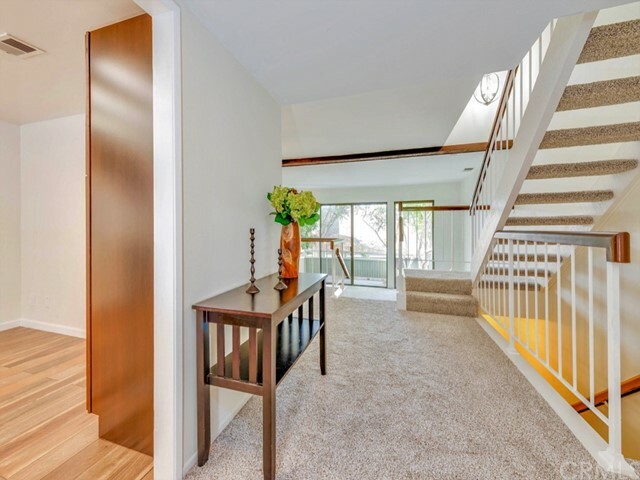 The dining room overlooks the spacious living room with built-in cabinetry, fireplace and wet bar. 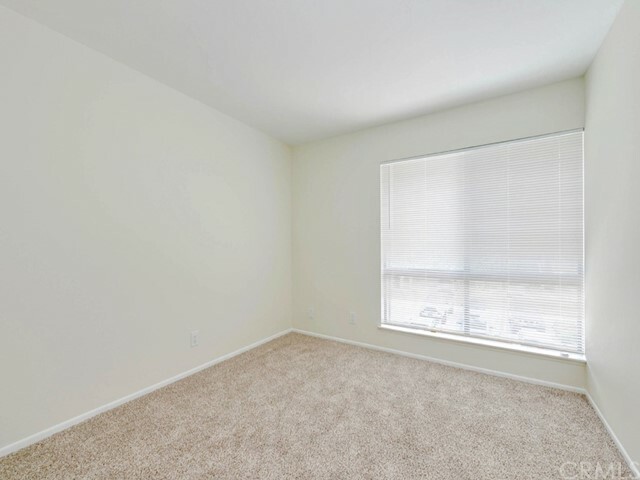 It’s open, bright and airy with lots of natural light. 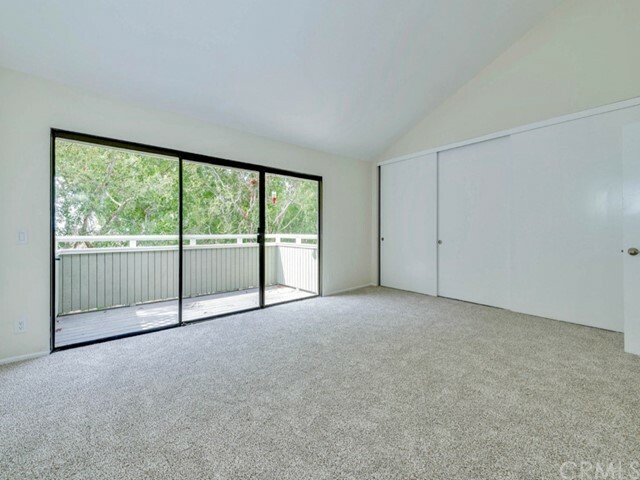 Large sliding glass door leads to a spacious patio decking. 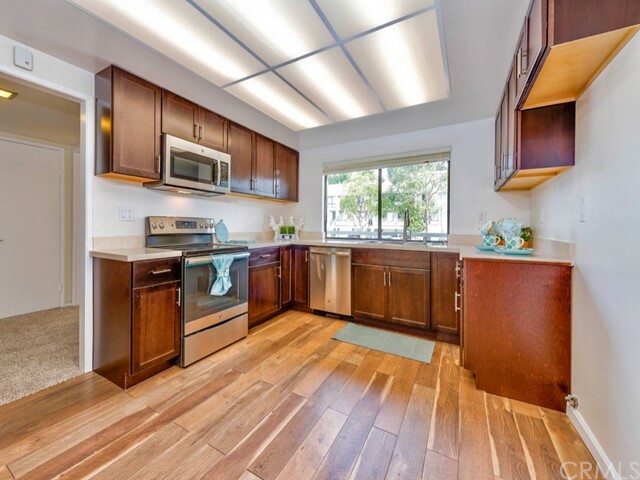 The all newly remodeled kitchen is bright and clean with stainless steel appliances, dark cabinetry, quartz countertops, hardwood flooring and LED overhead lighting. 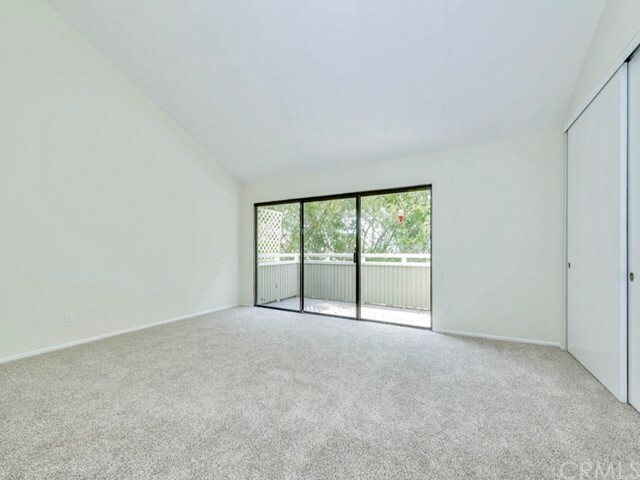 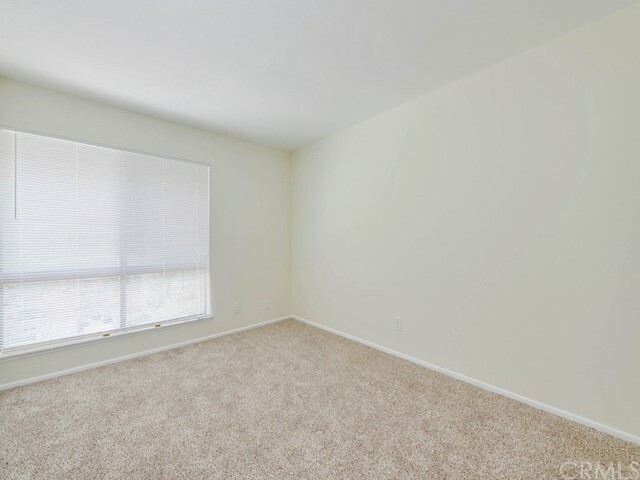 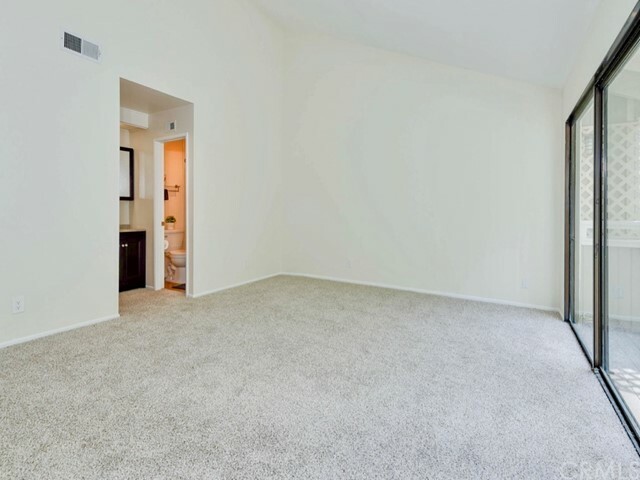 The master bedroom is oversized with a high ceiling and also features a relaxing balcony, exceptional closet space and a completely remodeled bathroom. 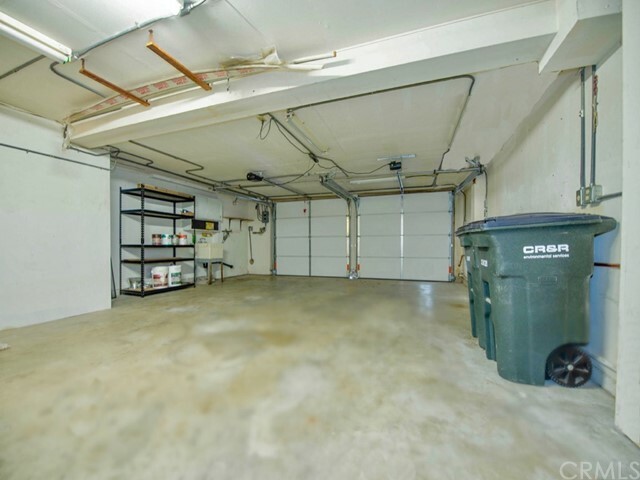 The oversized subterranean garage is accessible by an interior stairway and features an area for storage plus room for two automobiles and all your bicycles. 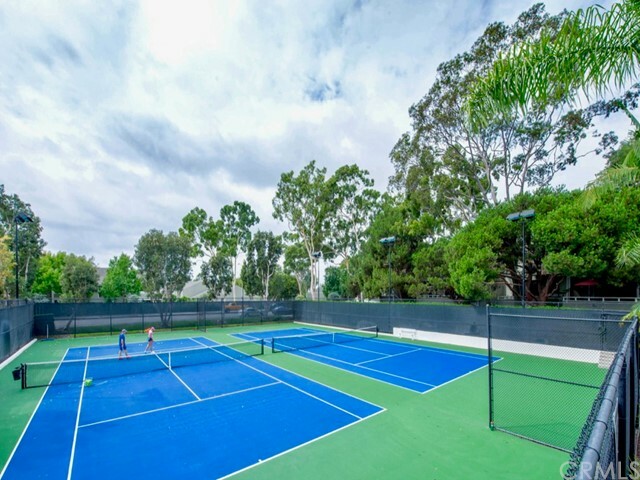 The community has lighted tennis courts as well as a spacious pool & spa area with lots of seating and lounging space and built-in barbecues. 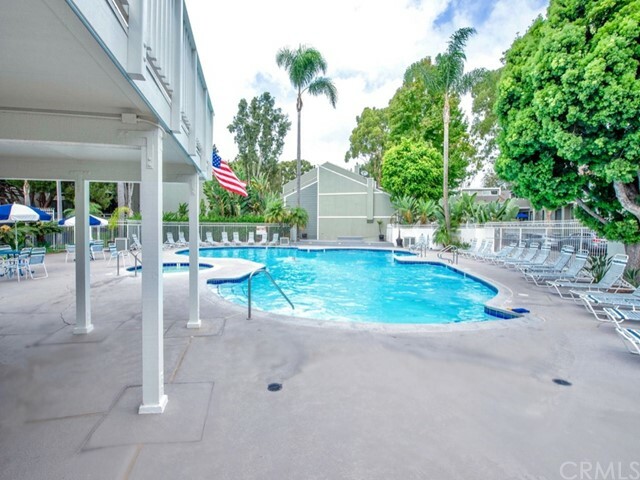 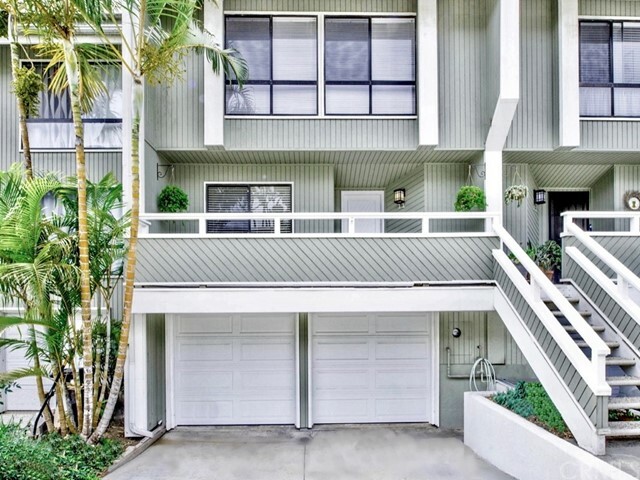 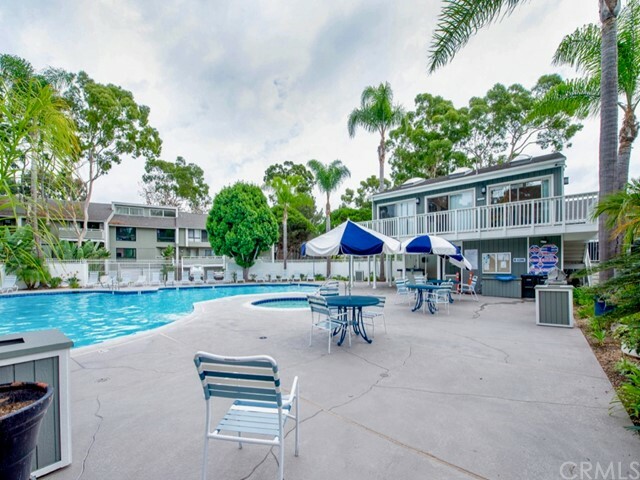 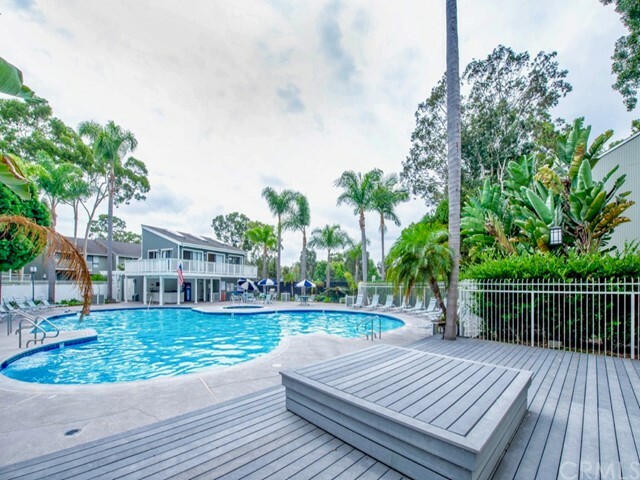 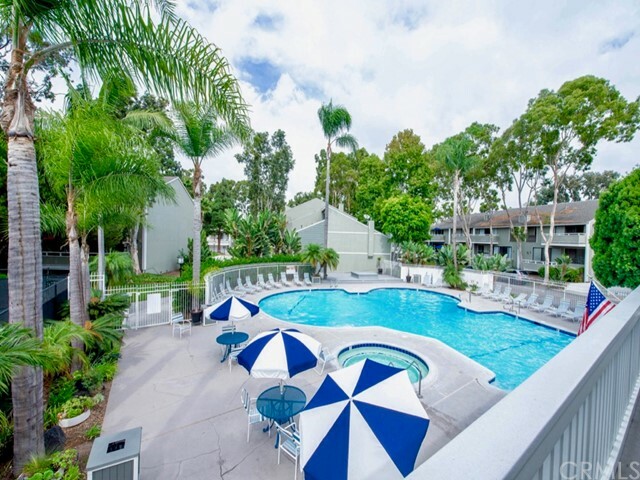 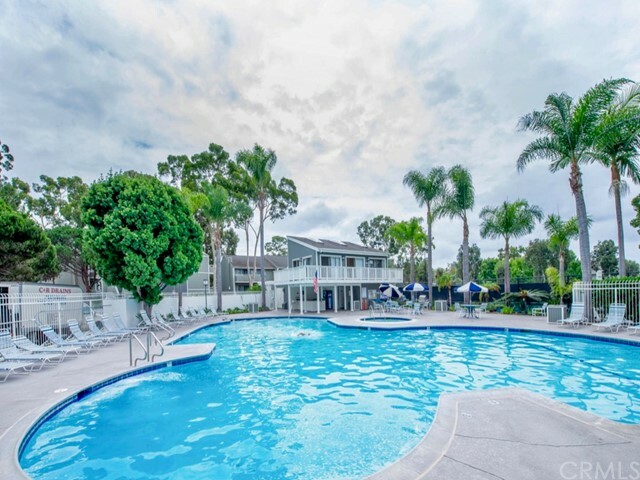 Exceptional location only minutes to the beach, marketing, shopping, dining, schools, entertainment, John Wayne Airport, and easy access to freeways. 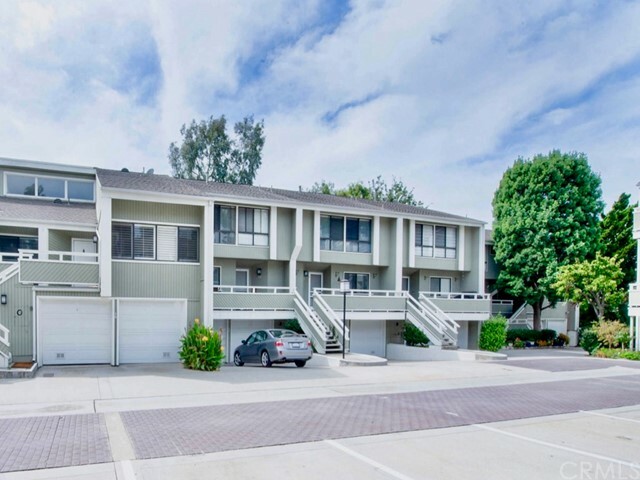 Don't miss out on this amazing residence. 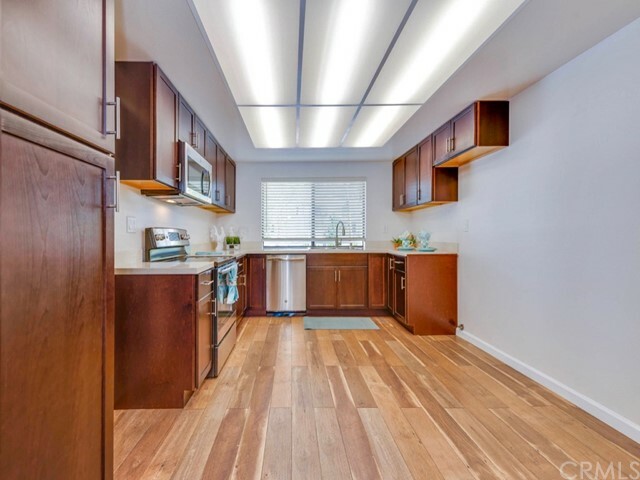 Brand NEW stainless steel refrigerator is now included. 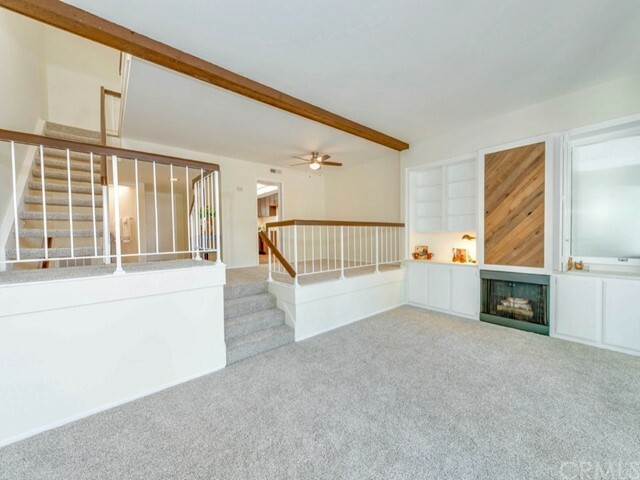 This is a MUST see home - you and your Buyers will fall in love with it!